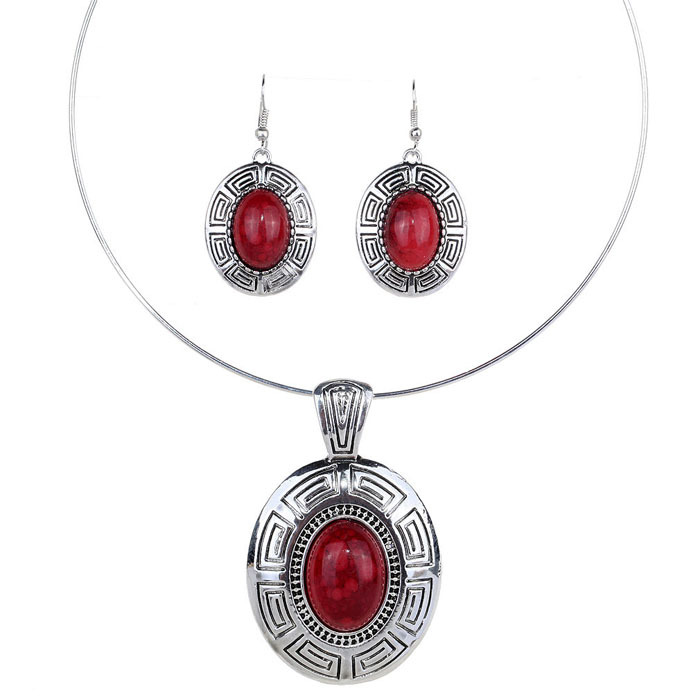 The circular shape inlaid with carved design and a large red formica stone makes Kaitlin Boho Necklace Set one-of-a-kind. Matching necklace and earrings. Buy your jewellery online here at Oz Bling to qualify for a free bonus gift.